British Rowing yesterday announced the crew list for the Munich Junior Regatta which is held at the Olympic Regatta Course between 5-6 May. The list comprises 31 junior rowers led by coach Ade Roberts and includes some previous World Rowing Junior Championship medallists. Three of the junior women’s squad also competed at Trakai last year; sculler Lottie Orr (Henley RC) and sweepers, Celia Matthews (Lady Eleanor Holles School) and Mary Wright (Henley RC). There are some notable absences from the list. St Paul’s School, who look to be shaping up for an exceptional junior rowing season, are opting to stay at home. Headington School Oxford, whose trialists performed very well in February, has also elected to stay at home in favour of teaching time. Many students will be starting A-level exams on May 14th so schools will be reluctant to release students for Munich. In addition the Munich regatta falls on the same weekend as the Junior Sculling Regatta and Wallingford Regatta. 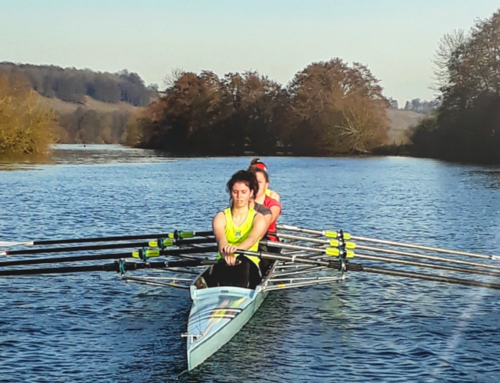 These events represent the last opportunity for crew boats to get some racing practice before National Schools Regatta on May 25. The British Rowing press release can be found here.